FLO. is a magazine created as a go-to for all things happening in the music world. 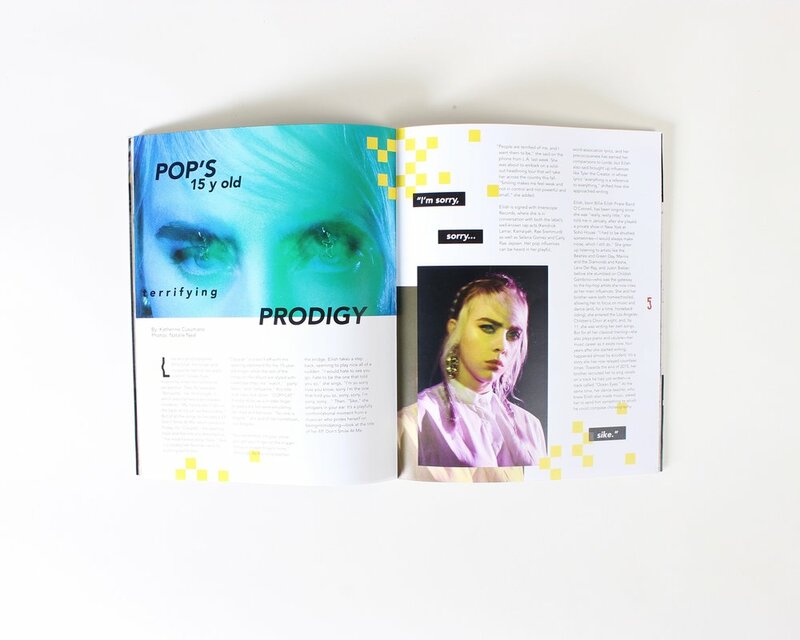 The style is edgy, modern, and an organized chaos to portray the feeling when listening to pop music. Bright colors were used throughout to portray this further. 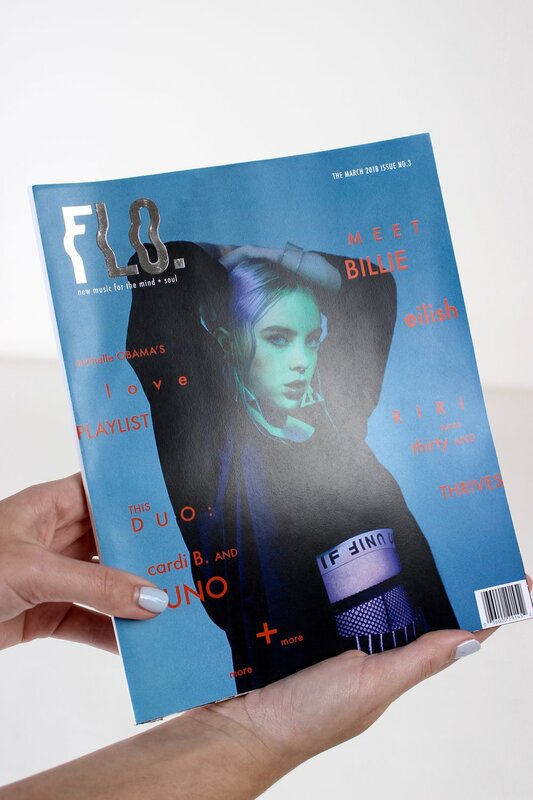 Billie Eilish was chosen for the cover because, well, have you heard her music?